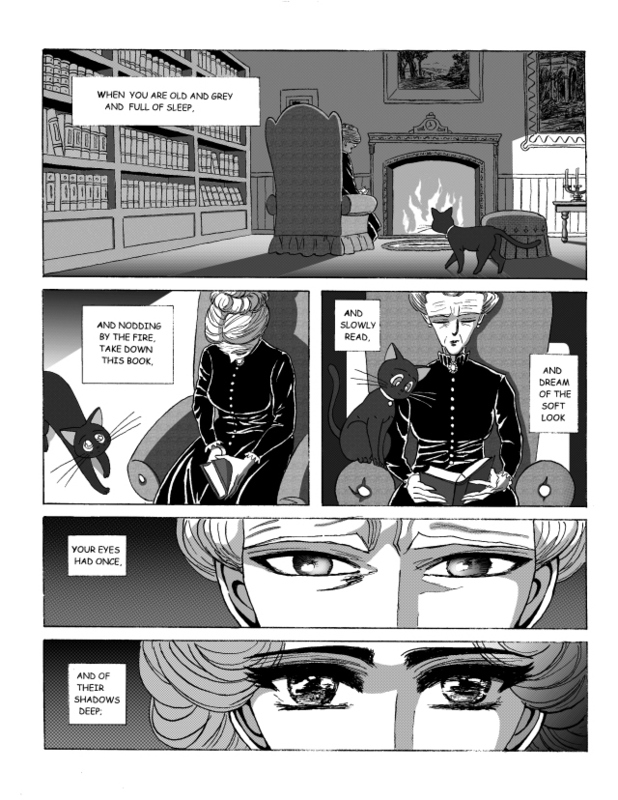 Last week we featured Julian Peters' comic-book adaptation of T.S. Eliot's "The Love Song of J. Alfred Prufrock." That might seem like an ambitious enough classic-literature-to-comics adaptation for any artist's career, but the Montreal-based art history grad student Peters has put himself on a larger mission. If you take a look at his site, you'll find that he's also adapted poems by "Italy's foremost poet of the First World War" Giuseppe Ungaretti, Seamus Heaney's 1969 poem "The Given Note," and John Philip Johnson's "Stairs Appear in a Hole Outside of Town." You see here the versatile Peters' visual interpretation of W.B. 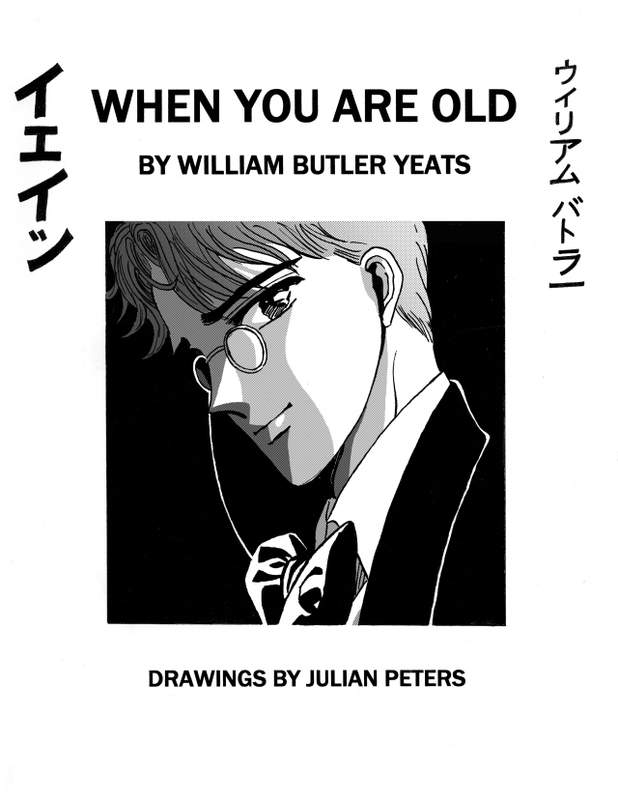 Yeats' "When You Are Old," a natural choice given his apparent poetic interests, but one drawn in the style of Japanese manga. 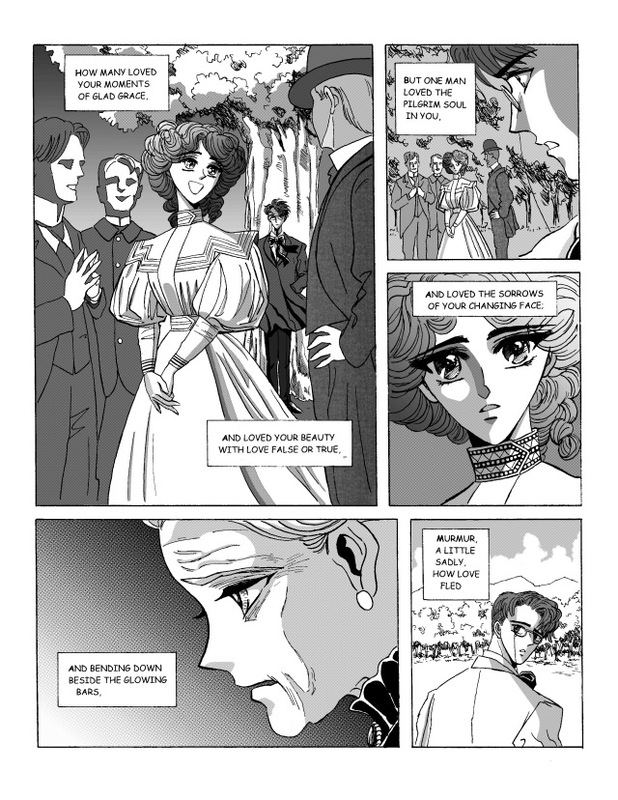 In adapting Yeats' words to a lady in the twilight of life, Peters has paid specific tribute to the work of Clamp, Japan's famous all-female comic-artist collective known for series like RG Veda, Tokyo Babylon, and X/1999. Clamp fans will find that, in three brief pages, Peters touches on quite a few of the aesthetic tropes that have long characterized the collective's work. 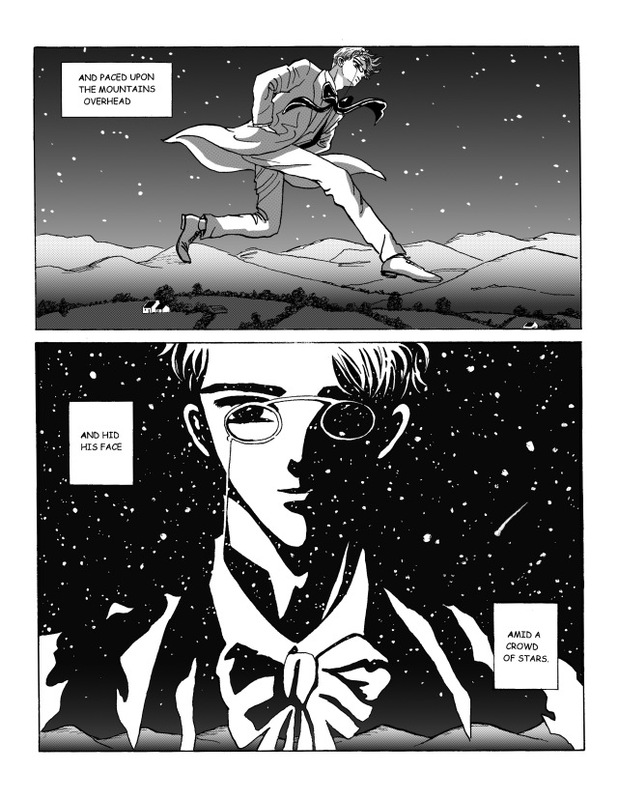 (You'll want to click through to Peters' own "When You Are Old" page to see an extra illustration that also fits well into the Clamp sensibility.) Yeats fans will no doubt appreciate the chance to see the poet's work in an entirely new way. I, for one, had never before pictured a cat on the lap of the woman "old and grey and full of sleep" reflecting on the "moments of glad grace" of her youth and the one man who loved her "pilgrim soul," but now I always will — and I imagine both Yeats and Clamp would approve of that. You can read and hear Yeats' 1892 poem here. If you click on the images on this page, you can view them in a larger format.